Through our dedicated research efforts and analytics here are the resourceful B2B companies in Australia that can design and develop remarkable businesses. SAN FRANCISCO, CALIFORNIA, UNITED STATES, March 6, 2019 /EINPresswire.com/ -- Apart from being popular for Kangaroos, sports, kolas and possessing the largest urbanized community, this naturally resourceful country, has an ever increasing need for app and web technology. The expectation for the ergonomically built apps and websites is therefore high among the users. Meanwhile, the strength of the B2B IT service providers has increased notably.The business firms, on the other hand are keenly searching for the genuine technology partners to enhance their business technically. The premium B2B service providers listed here have set their benchmarks in the field. 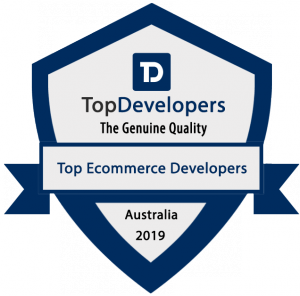 TopDevelopers.co has identified the leading B2B service providers who are playing an incredible role in business and entrepreneurial augmentation. We went on analyzing deeply about the market, the problematic fronts of the app development industry and all the great offers that the reliable B2B service providers of Australia, can grant for its clients. Through a dedicated research and analysis we have compiled an exclusive list. The leading app development companies in Australia have been inspiring app and web users through their works as the country and its population began finding smart phones more useful for their communication and connection. It is important for the emerging business firms and organizations to act wisely when they partner a tech service provider. The awareness is necessary for the businesses to find the favorable phase through technical upgrade and reach a wide audience as anticipated.